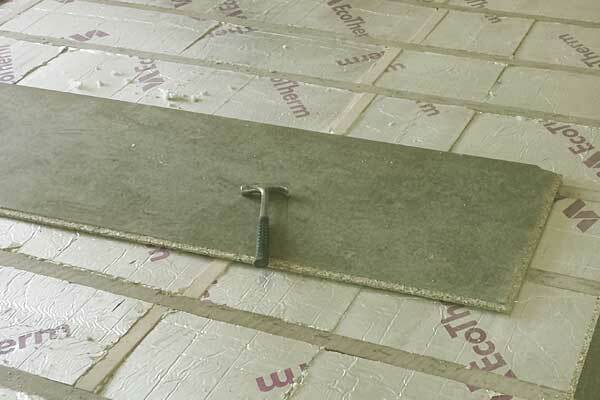 YOUR GROUND FLOORS DO NOT HAVE TO BE SO COLD! 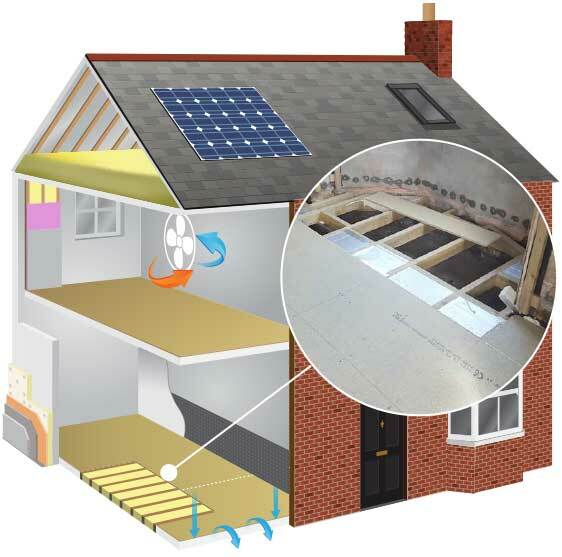 As part of our whole house approach to eco-renovation, under-floor insulation can make a significant difference to the comfort of any home. 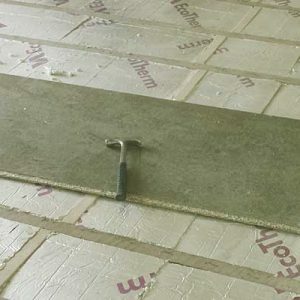 Heat loss and cold draughts through ground floors will make a room much cooler in winter leading to cold draughts and heat loss. 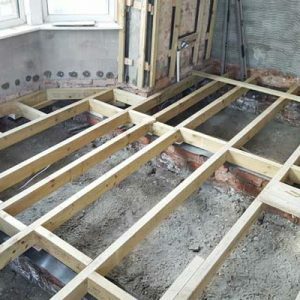 We provide a full replacement floor service using treated timbers and real wood flooring, combined with modern insulation systems. 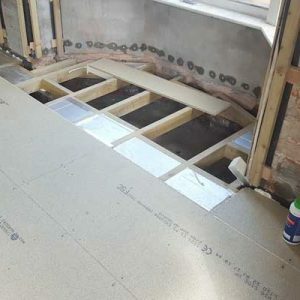 From complete removal of the existing floor, using the latest high performance insulation systems and new floorboards, or we can insulate underneath your traditional wooden floor with minimal distruption and WITHOUT removing all your floorboards. 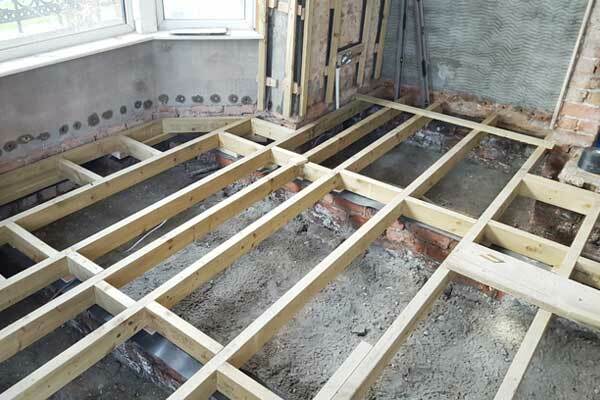 We can do this by lifting just a few floorboards, at pre-determined intervals, and inserting our made to measure and unique insulation support system between the floor joists – we insert high-performance insulation that packs tightly into all corners, leaving no gaps, using blown and quilted materials. 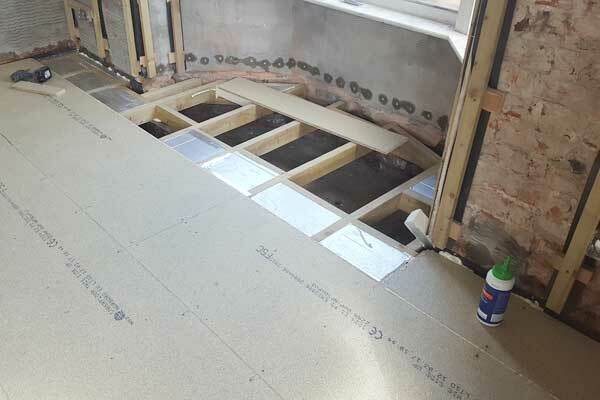 The end result is a thick layer of breathable insulation that keeps the cold draughts OUT and your warm air IN. We guarantee that you will notice the difference to the warmth of your rooms. 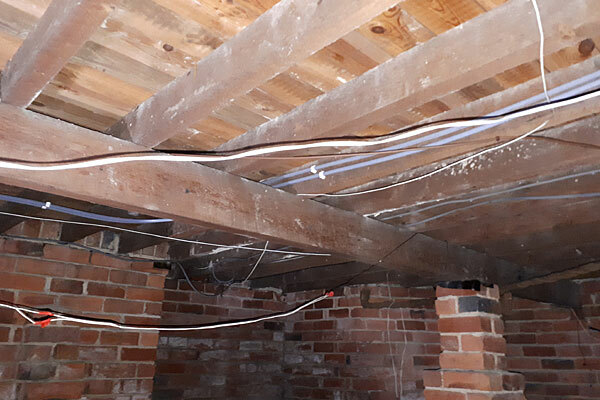 Rooms will warm up much quicker and loose less heat, and with no draughts. 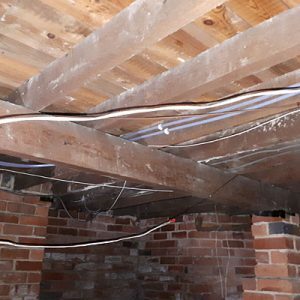 We also guarantee all our materials and workmanship for at least 10 years, given normal conditions – so your investment is well protected.